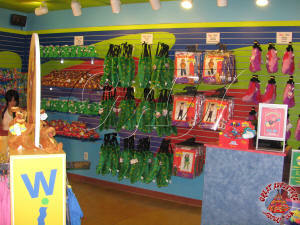 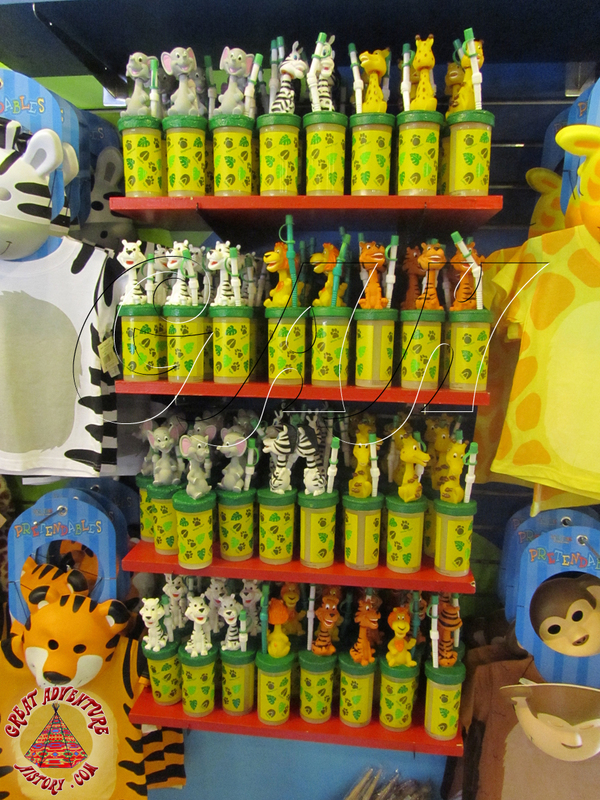 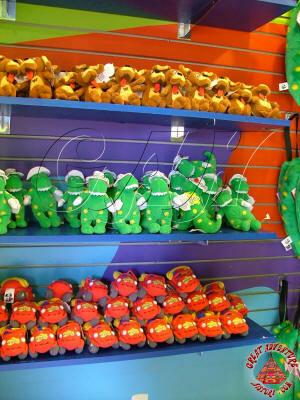 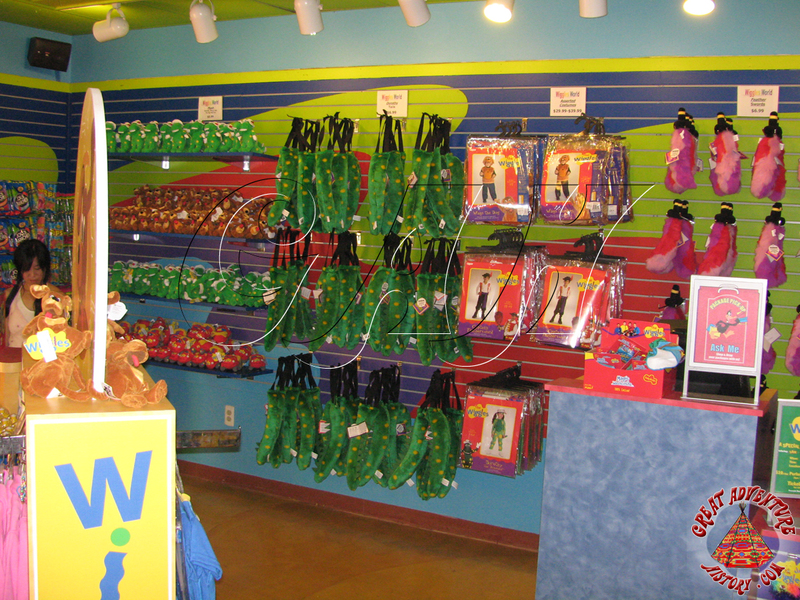 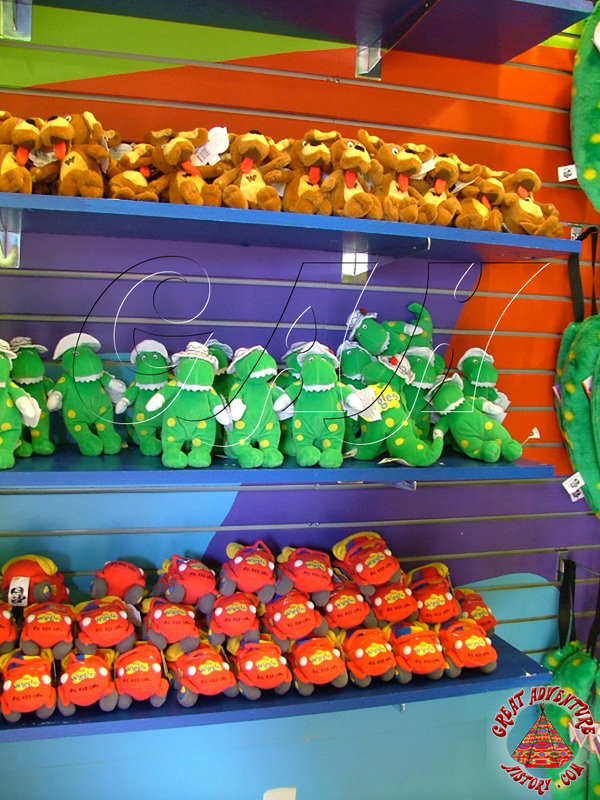 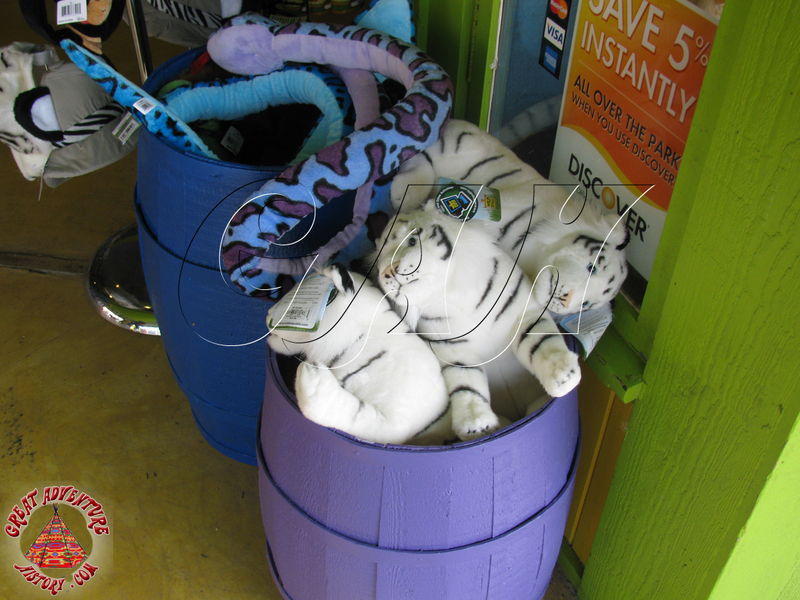 Everyone wants to bring home a souvenir of their visit to a park, and Great Adventure has offered a plethora of merchandise locations over the years featuring a wide variety of gifts and trinkets. 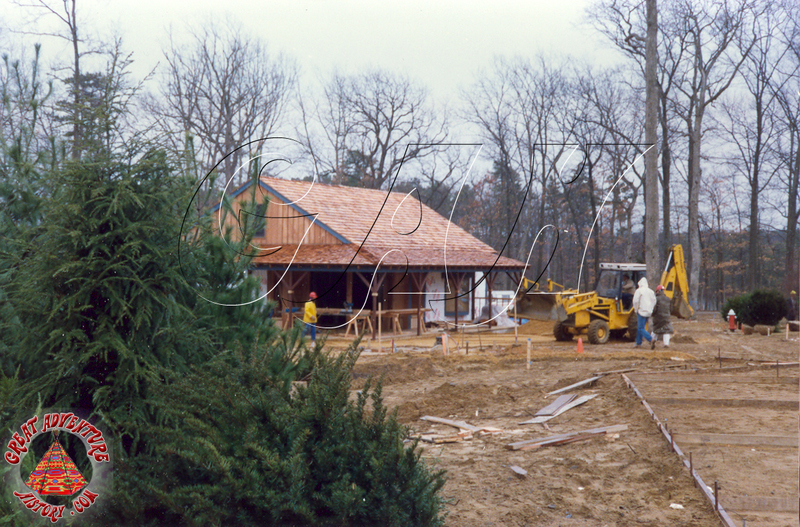 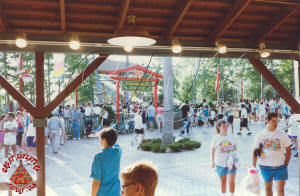 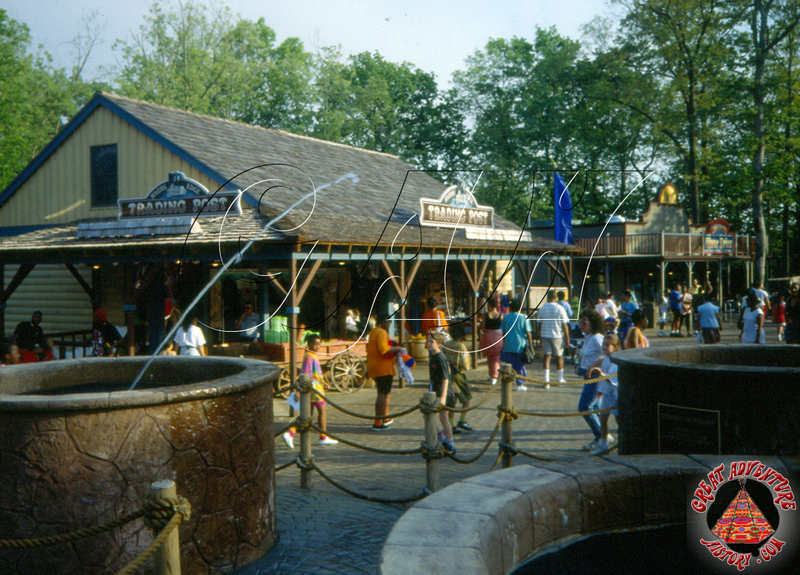 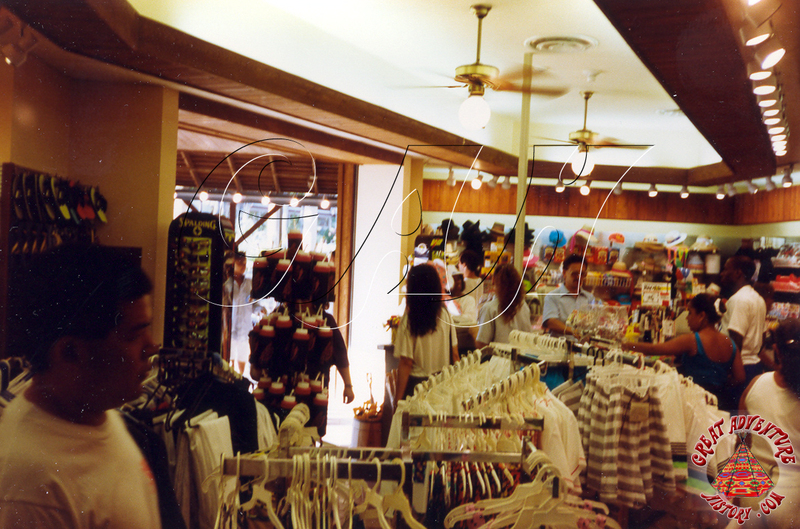 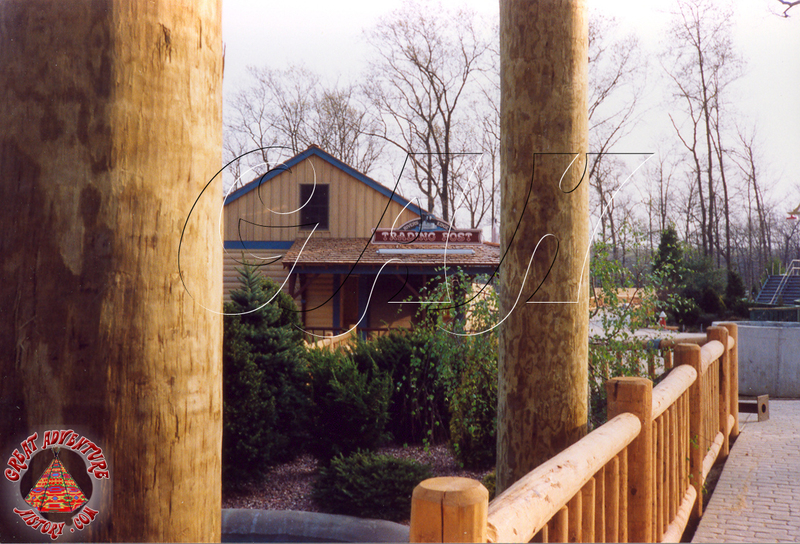 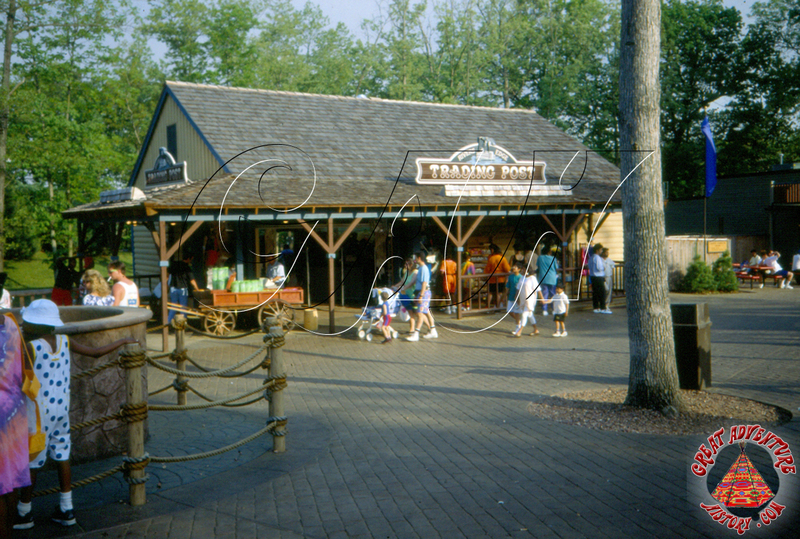 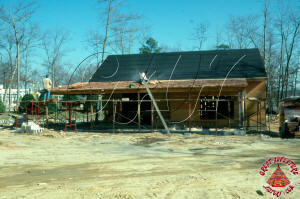 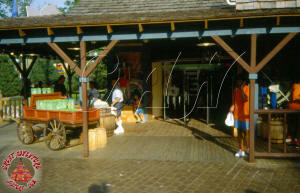 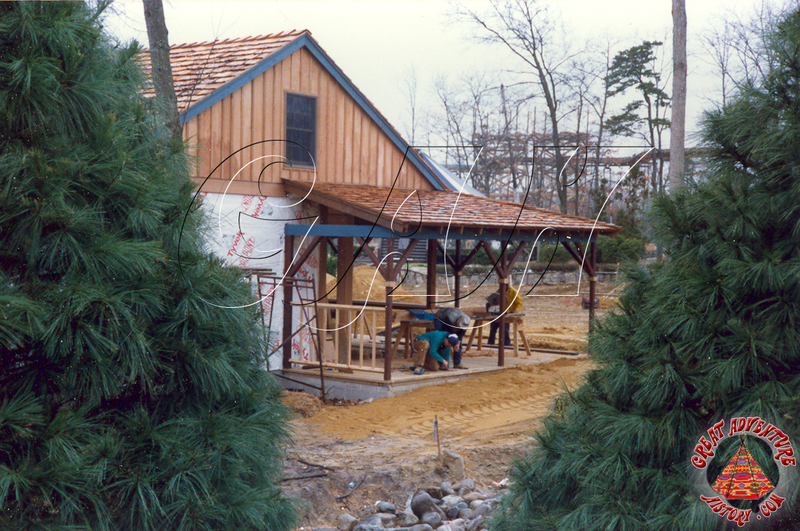 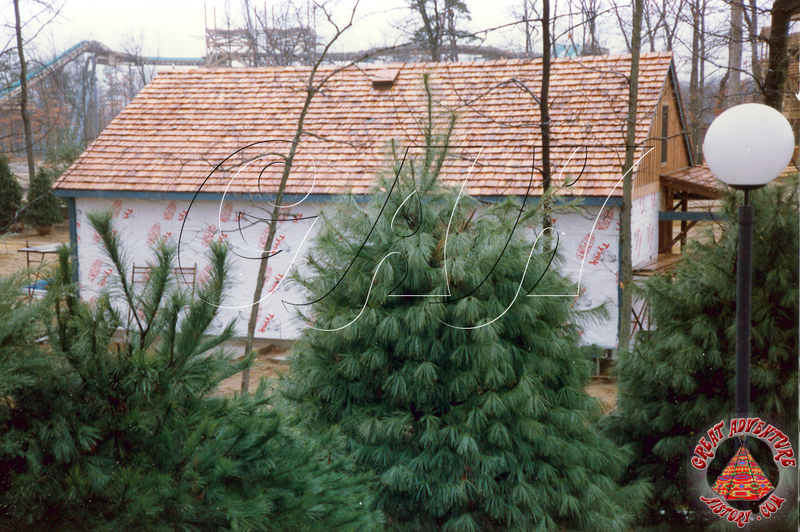 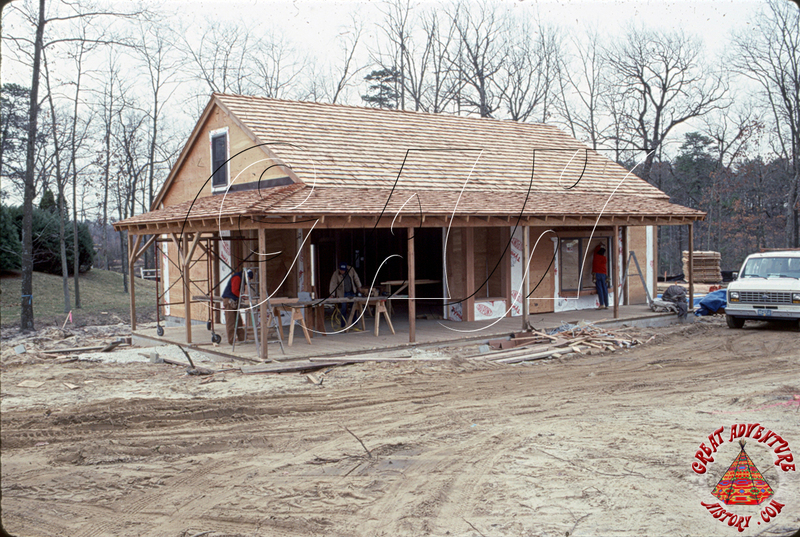 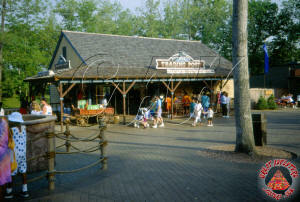 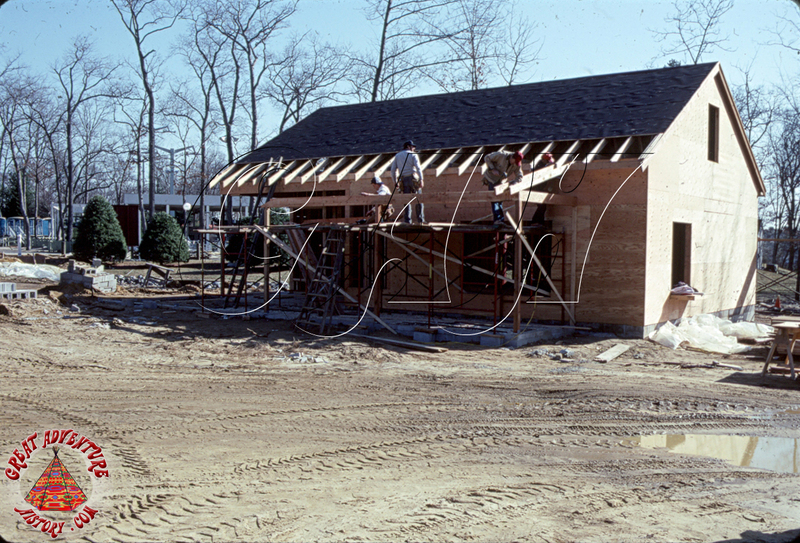 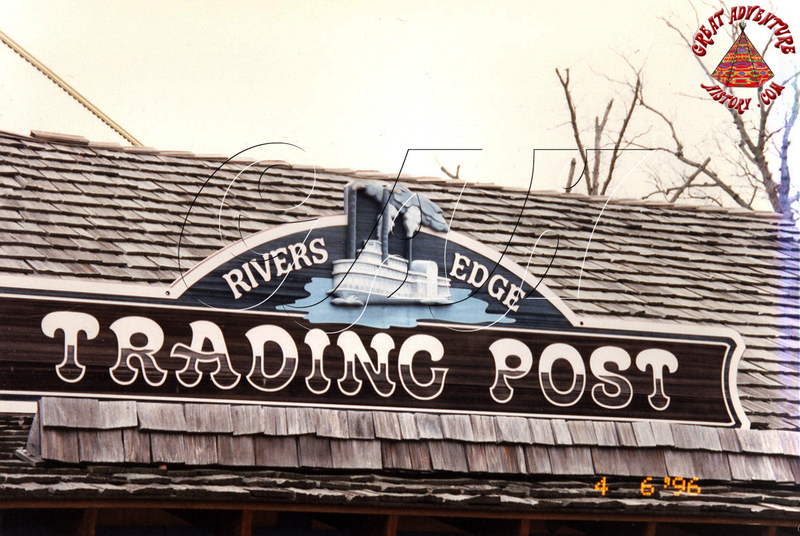 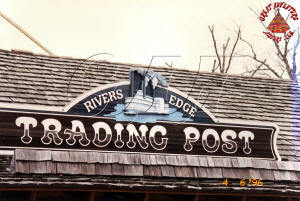 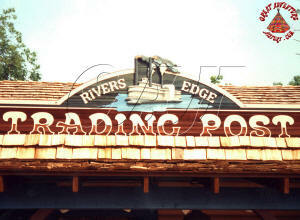 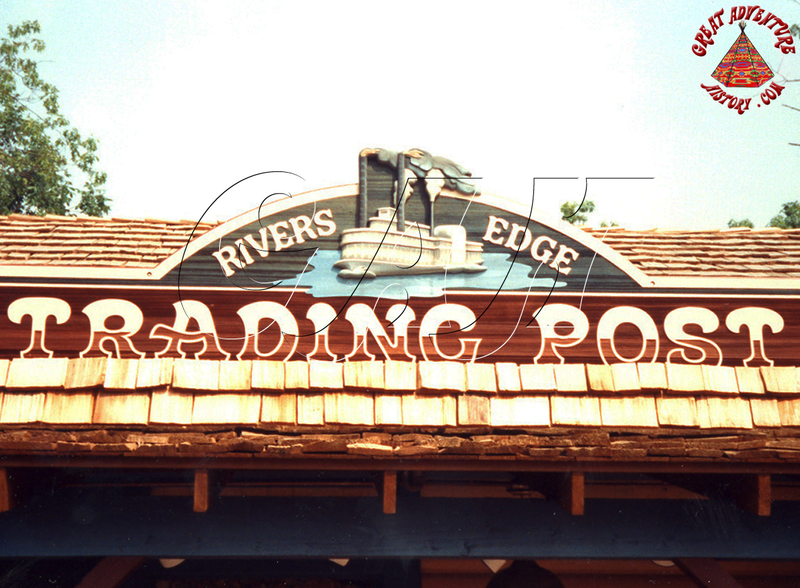 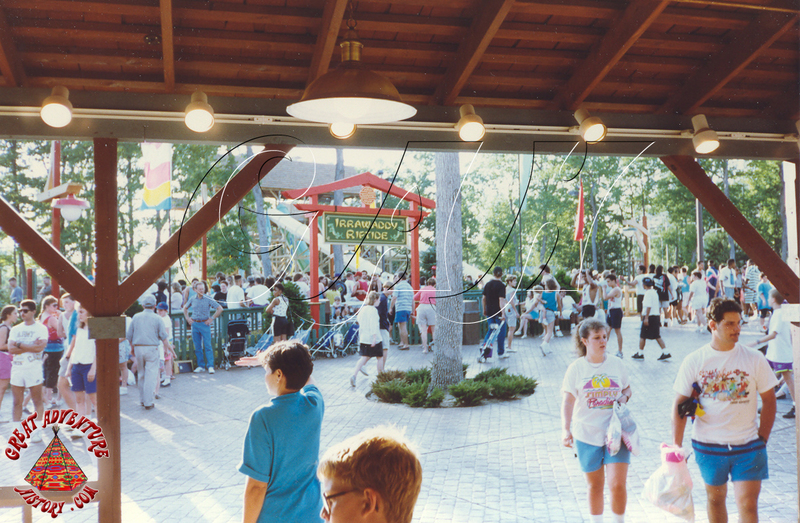 Added as a part of the Adventure Rivers section of the park in 1991, the River's Edge Trading Post was strategically located where guests would be looking for towels, sunscreen, t-shirts and other things that people coming off wet attractions would need. 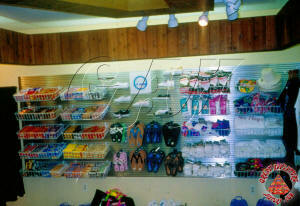 Wet guests often quickly discovered that they didn't want to have wet feet or clothes for the rest of the day, so things like flip-flops and shirts were very popular items, along with other more typical theme park souvenirs and sundries. 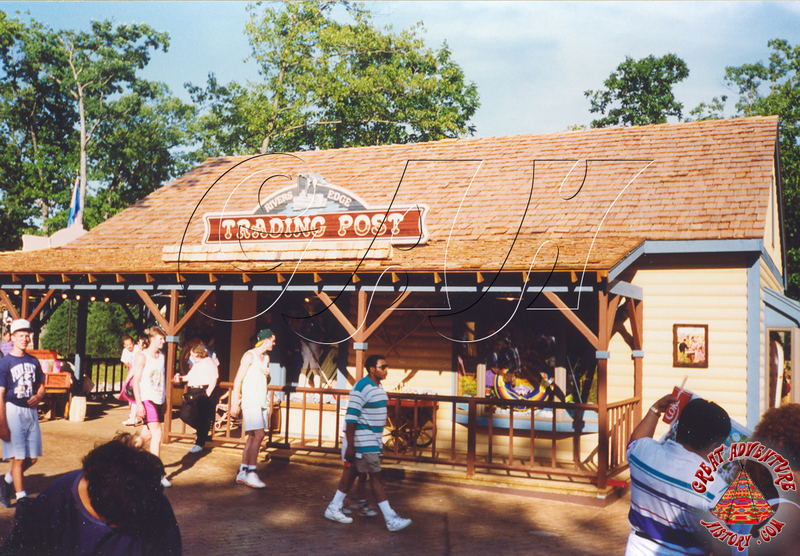 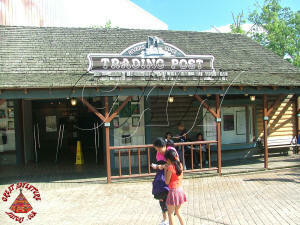 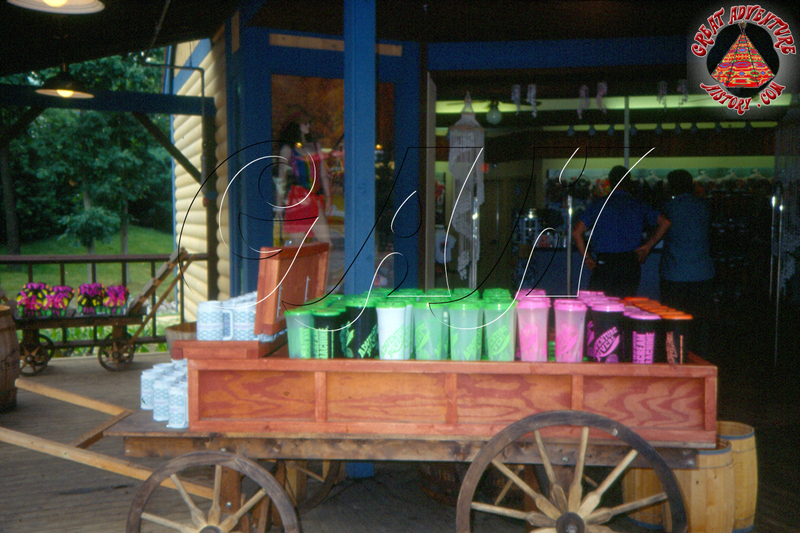 With the exit of Skull Mountain emptying right next to the shop, the Trading Post continued to be a fairly busy store even after the rest of Adventure Rivers was removed in 1999. 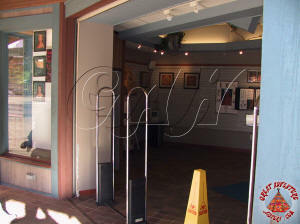 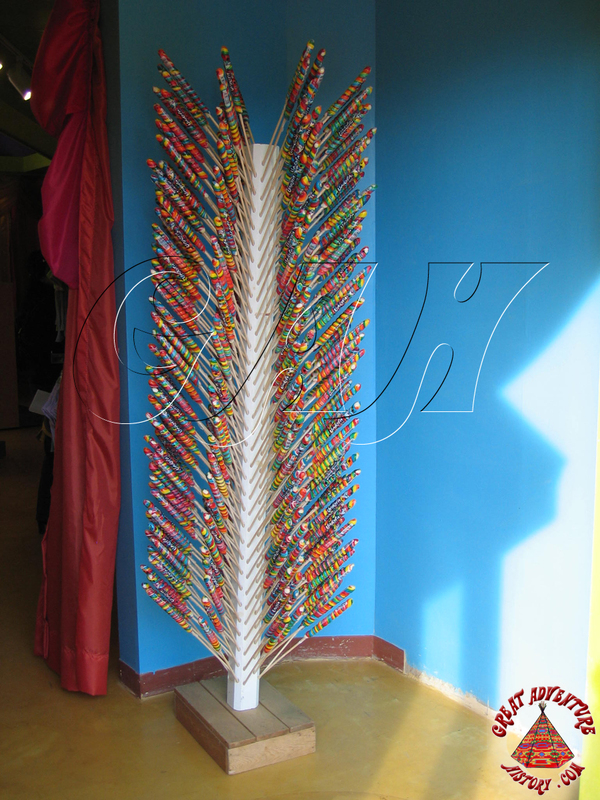 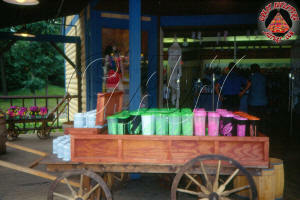 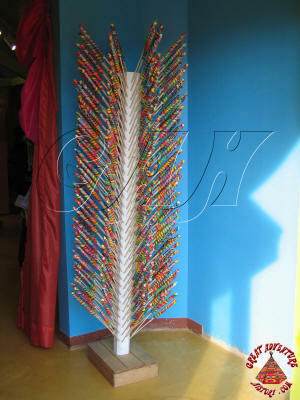 The merchandise selection changed a great deal over time, with the shop becoming a temporary tattoo stand for a time. 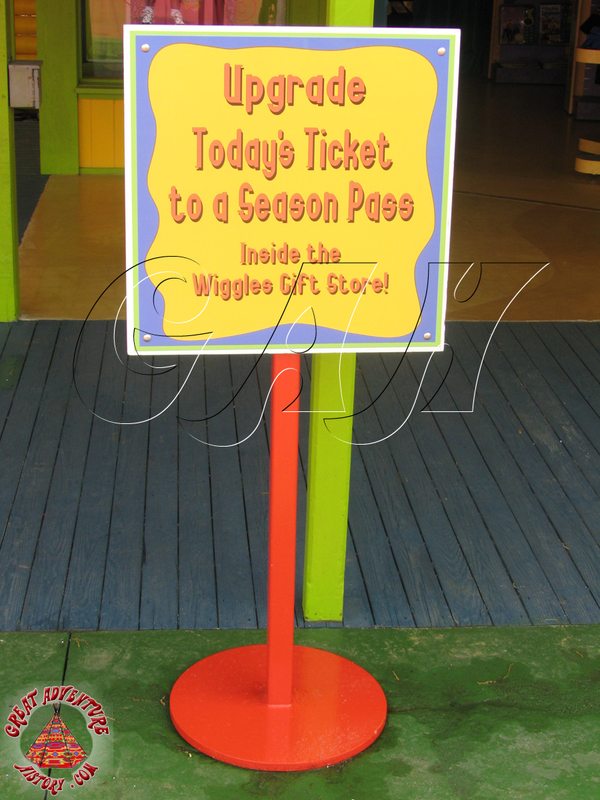 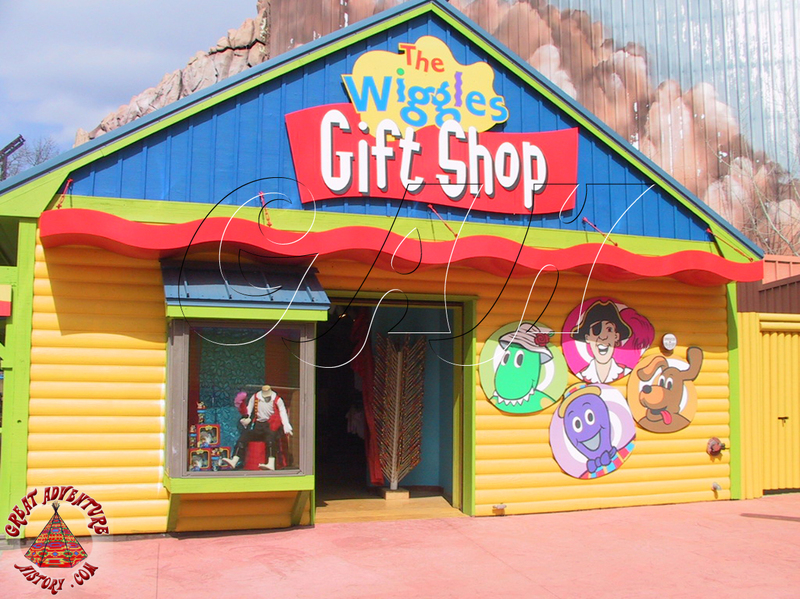 In 2007 the Trading Post took on a new identity with the arrival of The Wiggles and the creation of Wiggle's World. 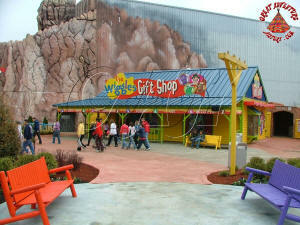 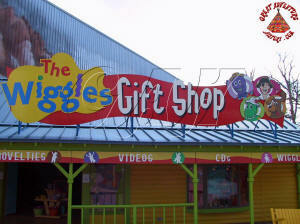 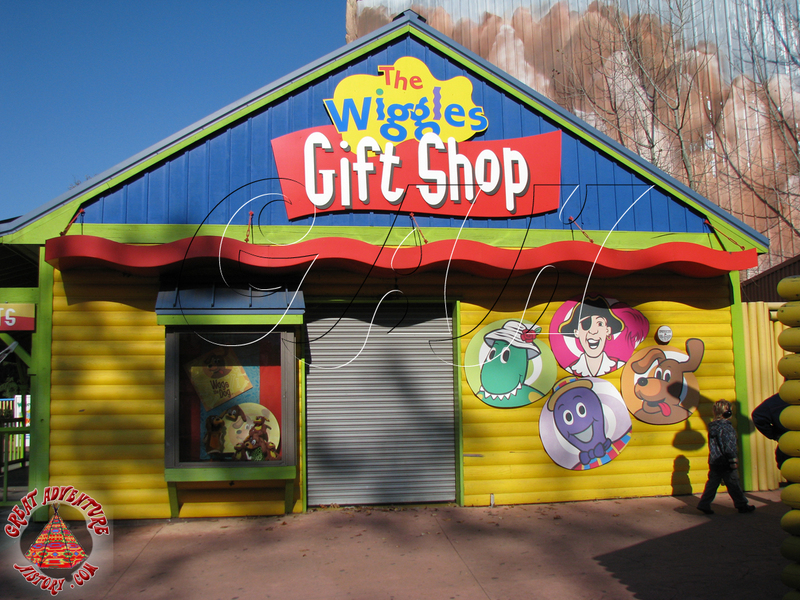 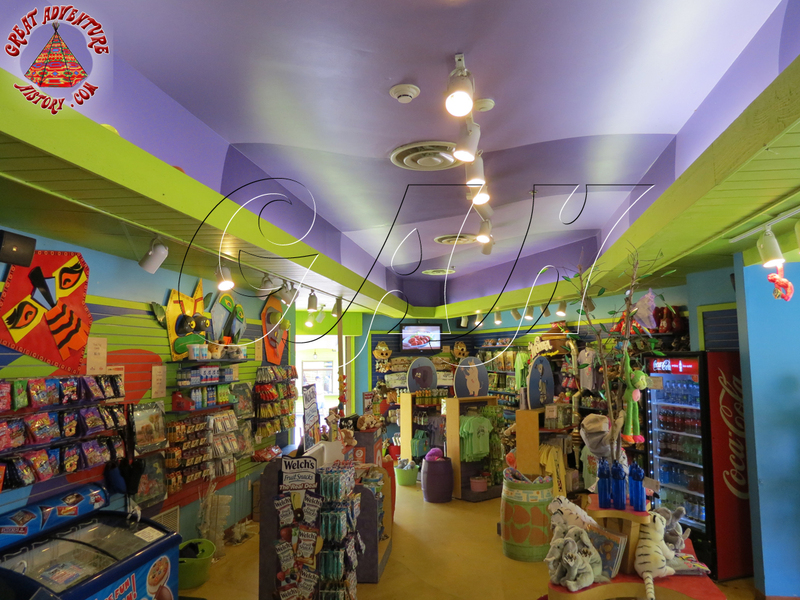 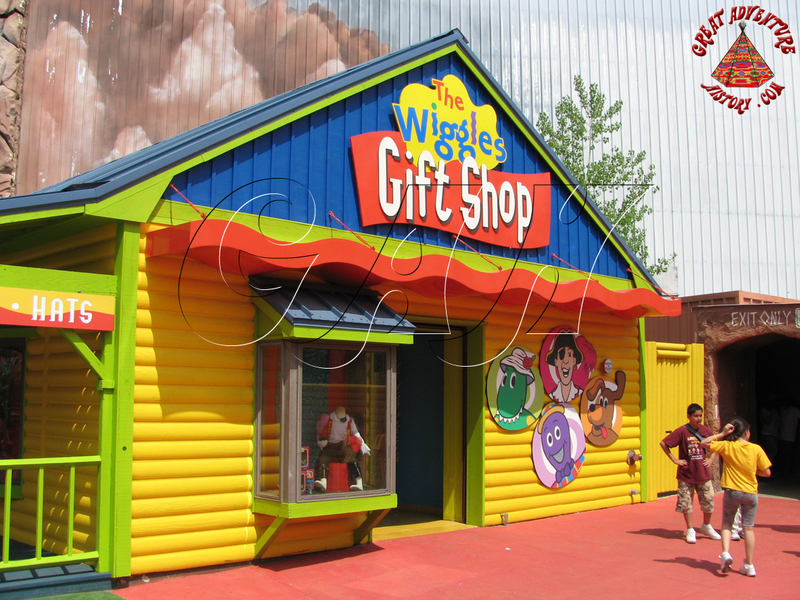 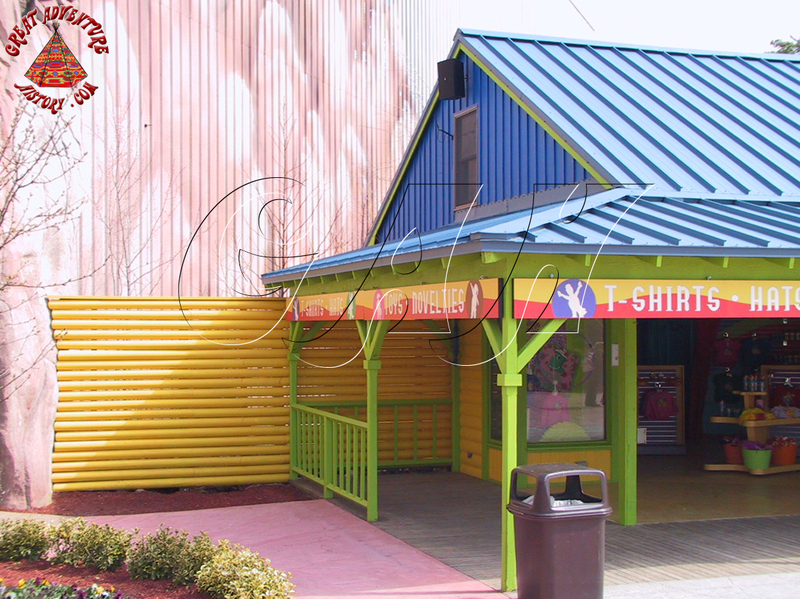 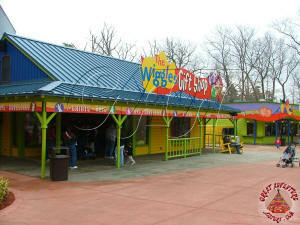 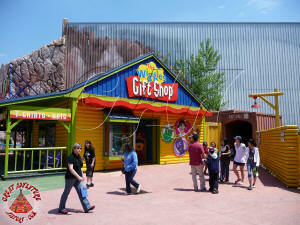 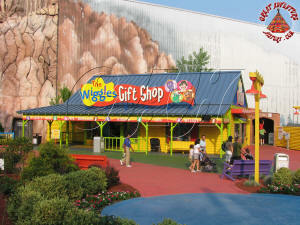 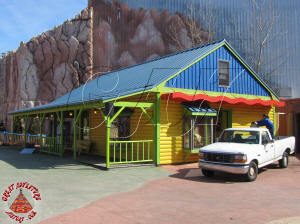 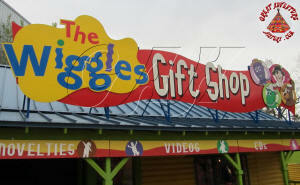 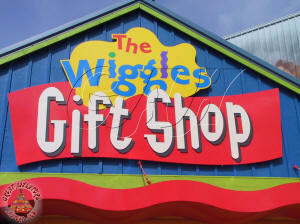 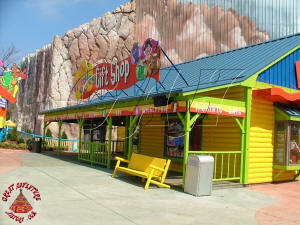 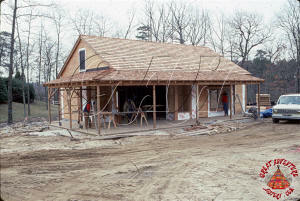 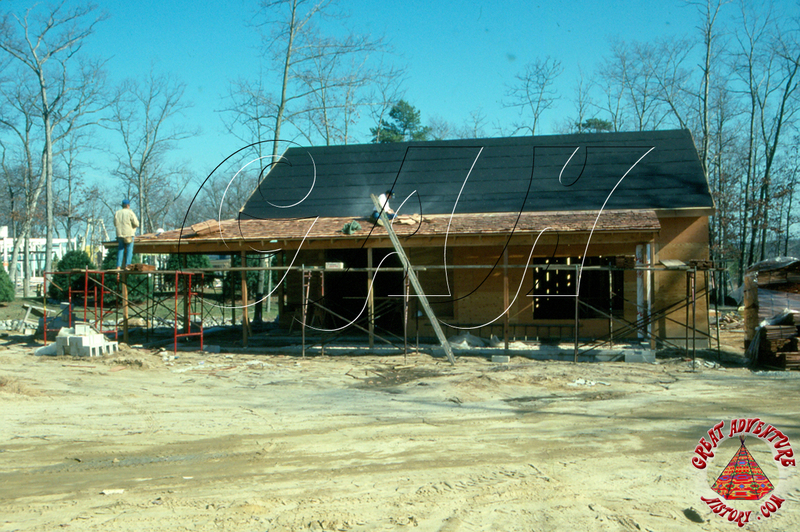 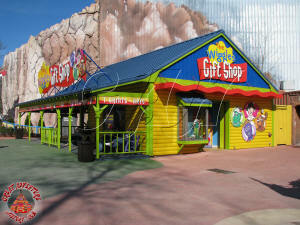 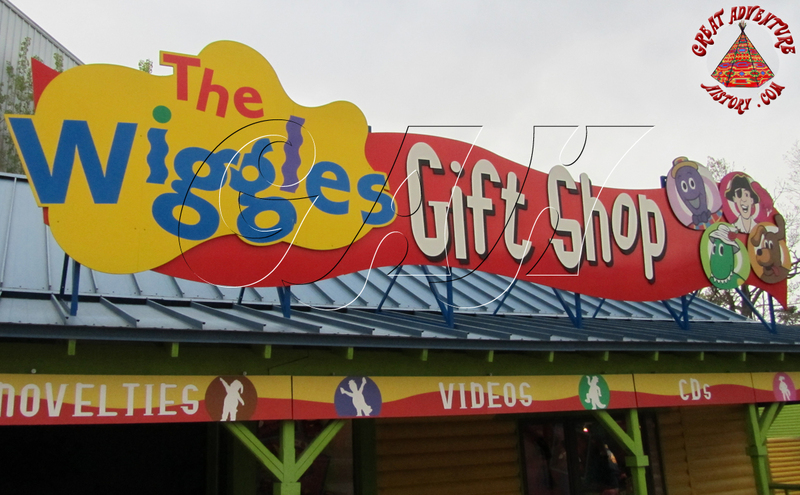 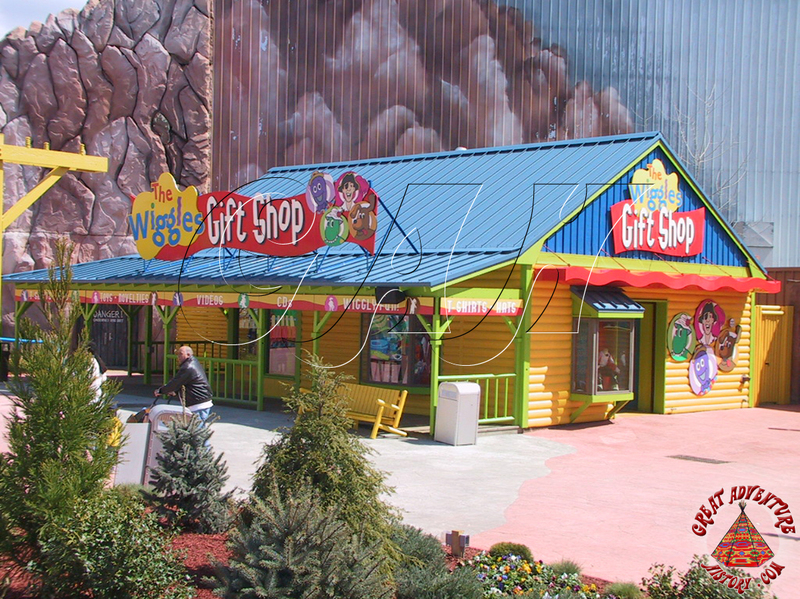 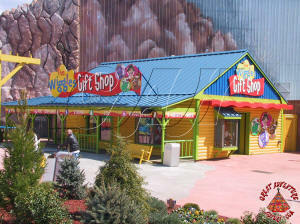 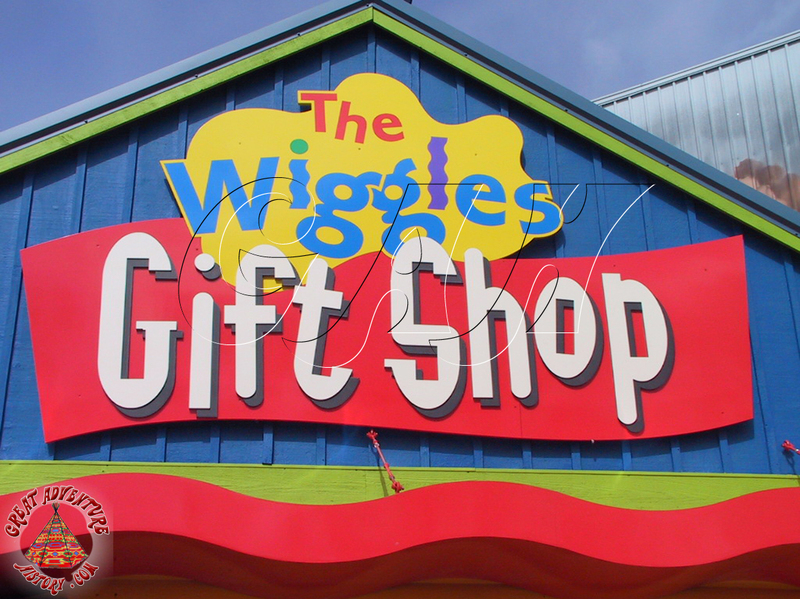 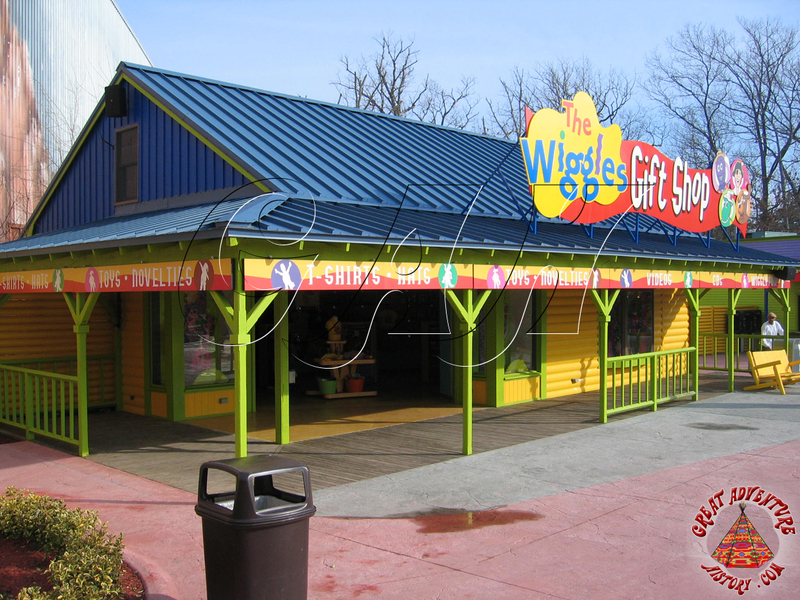 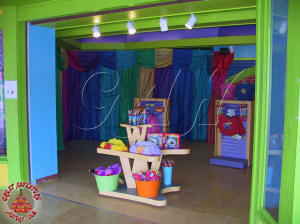 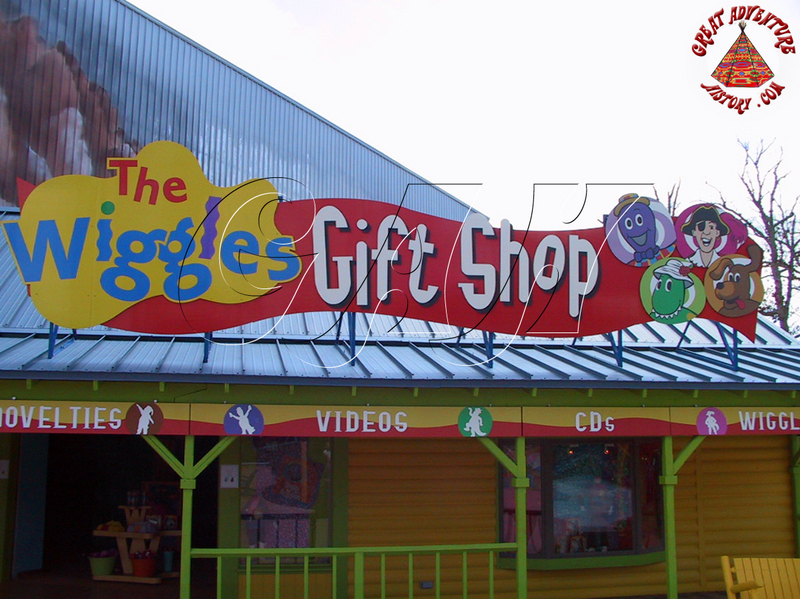 The once rustically themed building was painted in bright colors, and was renamed The Wiggles Gift Shop. 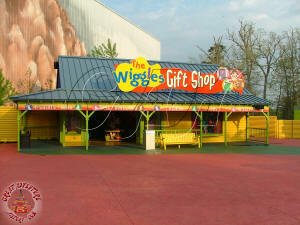 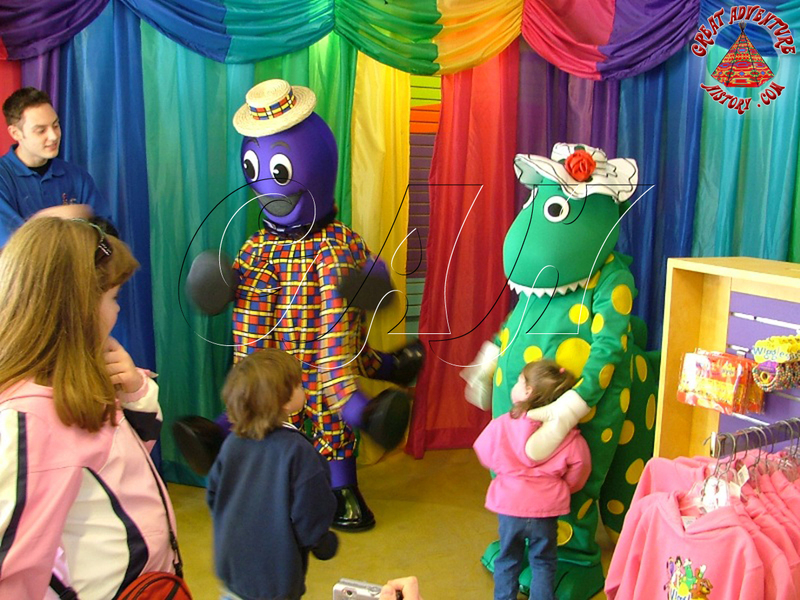 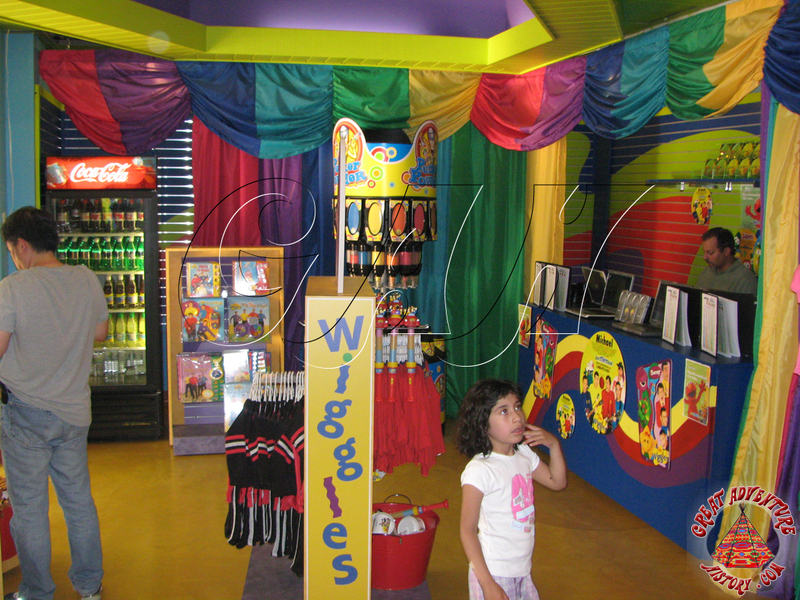 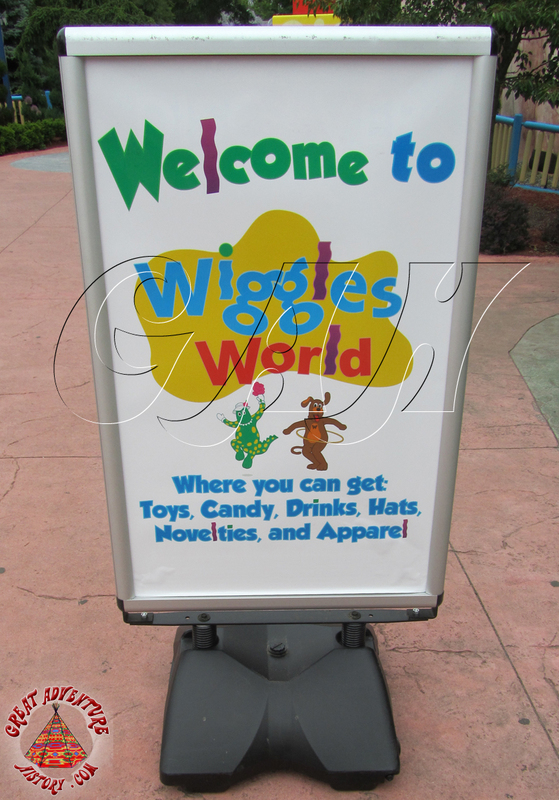 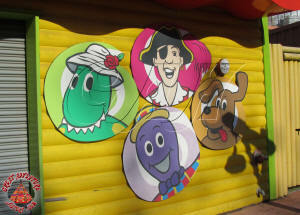 Inside was a wide array of Wiggles merchandise as well as a photo area where the Wiggles characters would pose with guests throughout the day. 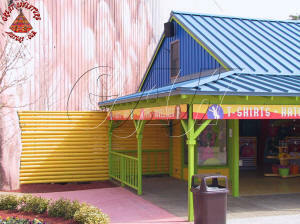 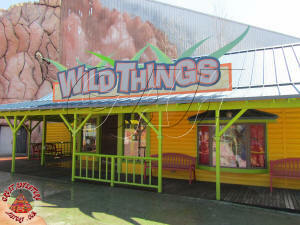 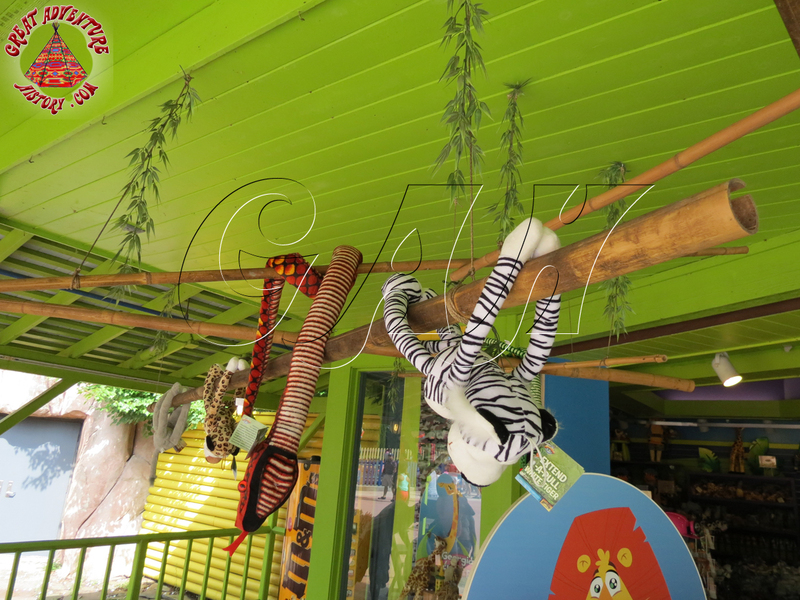 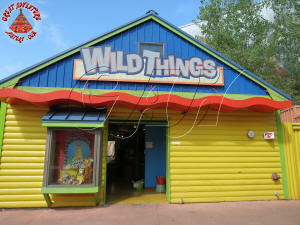 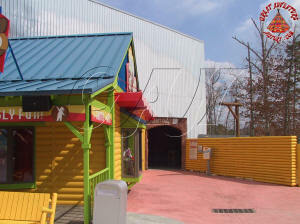 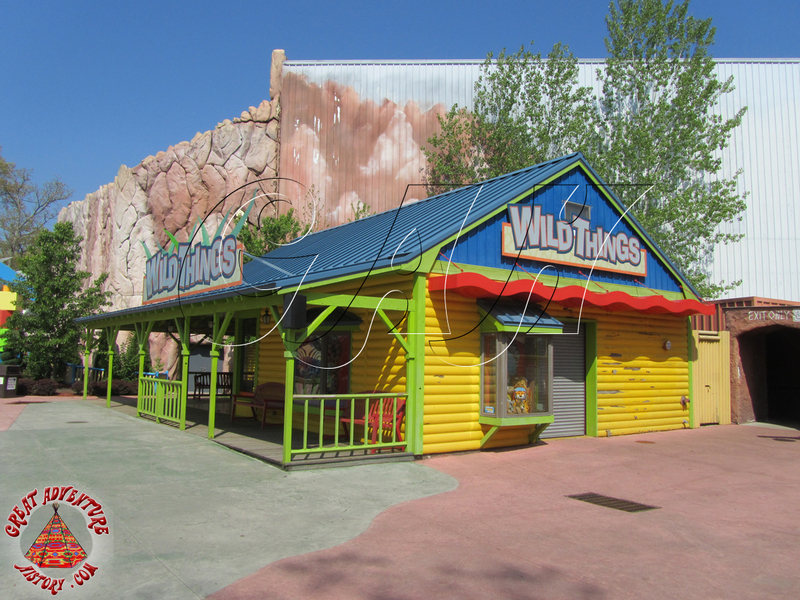 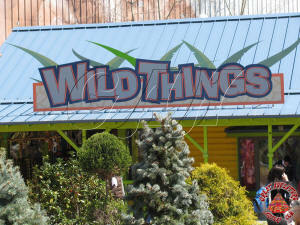 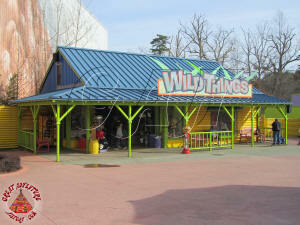 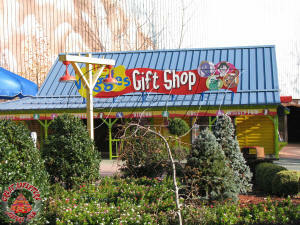 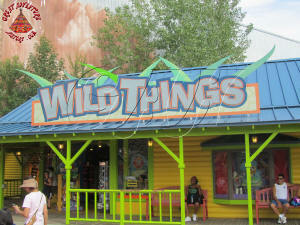 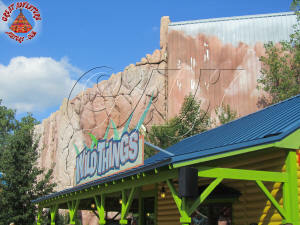 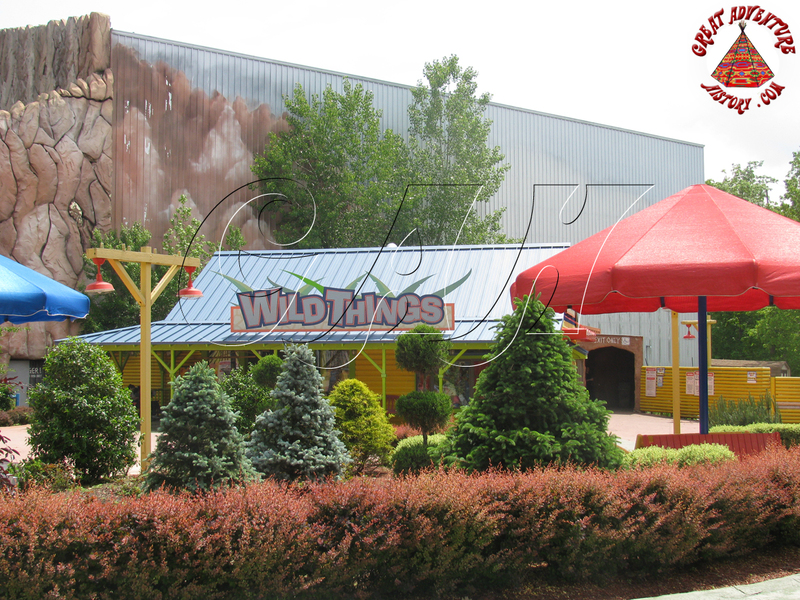 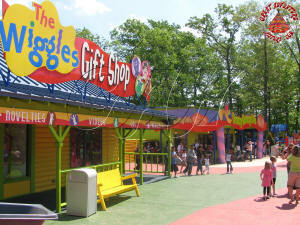 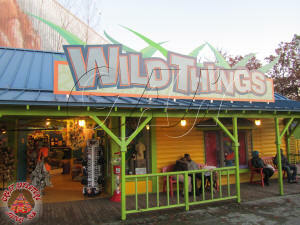 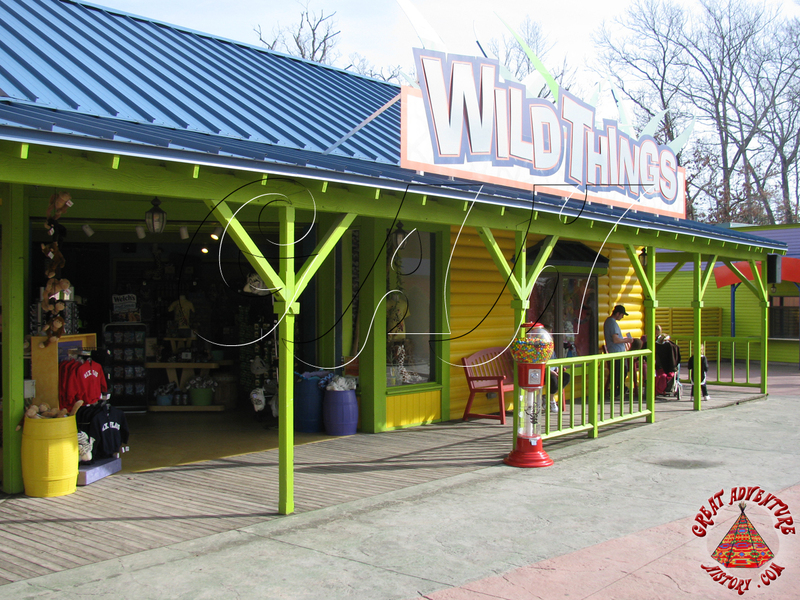 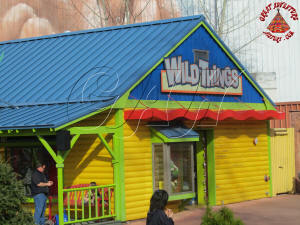 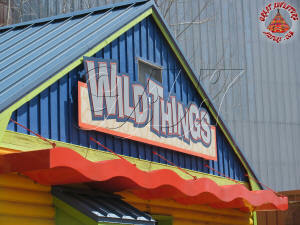 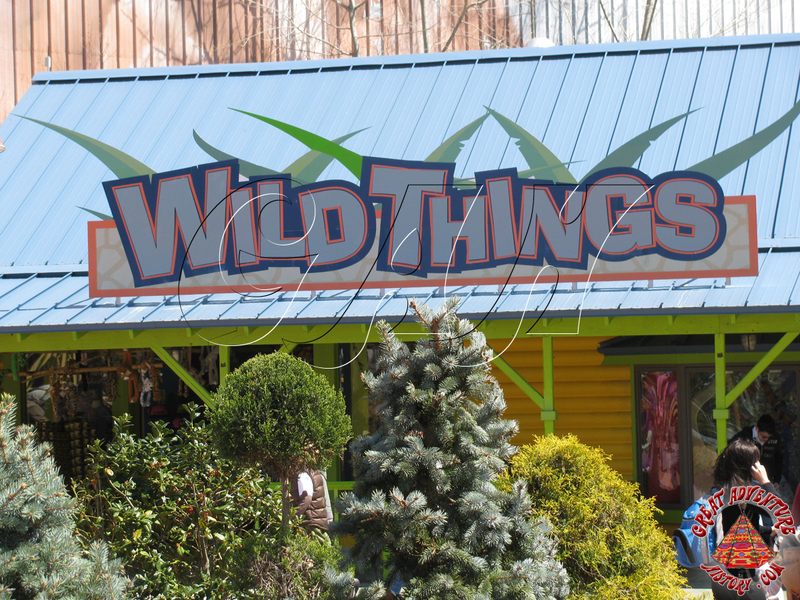 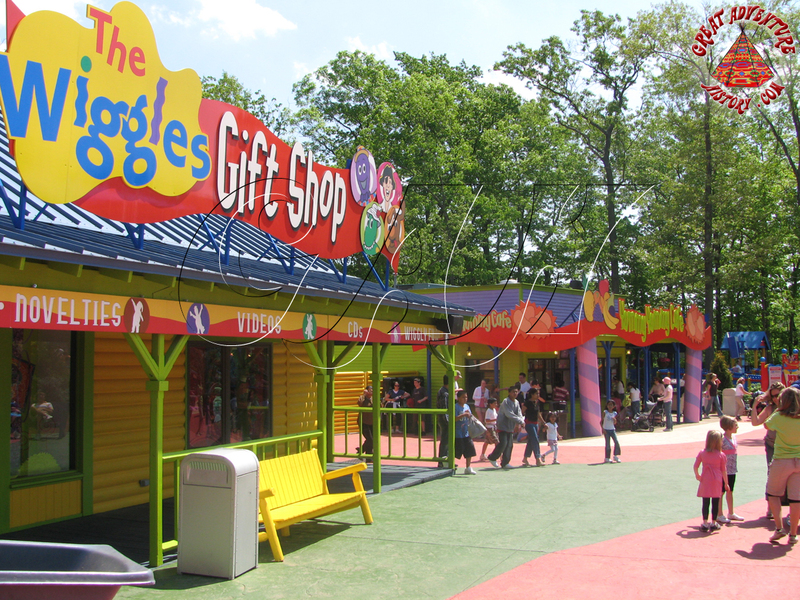 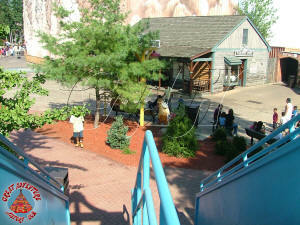 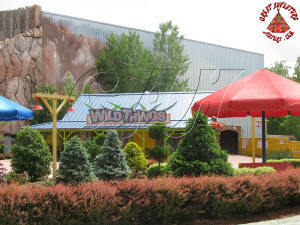 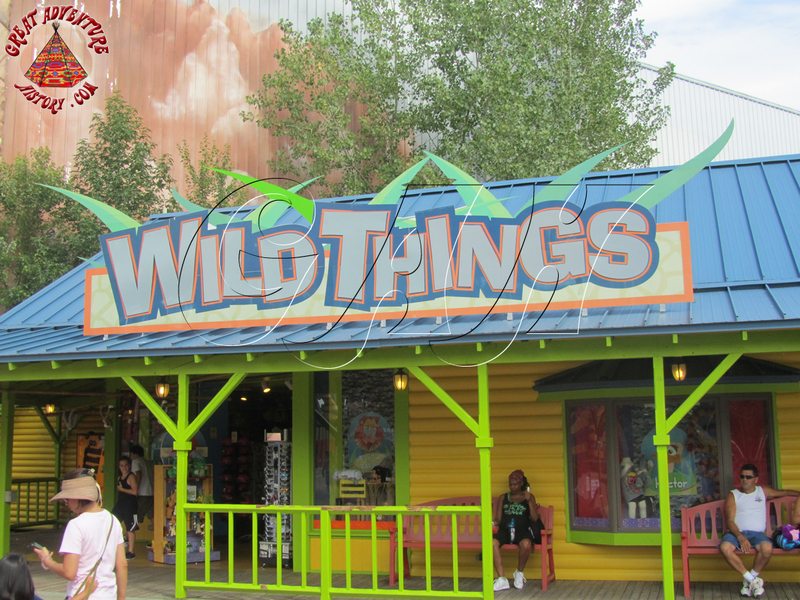 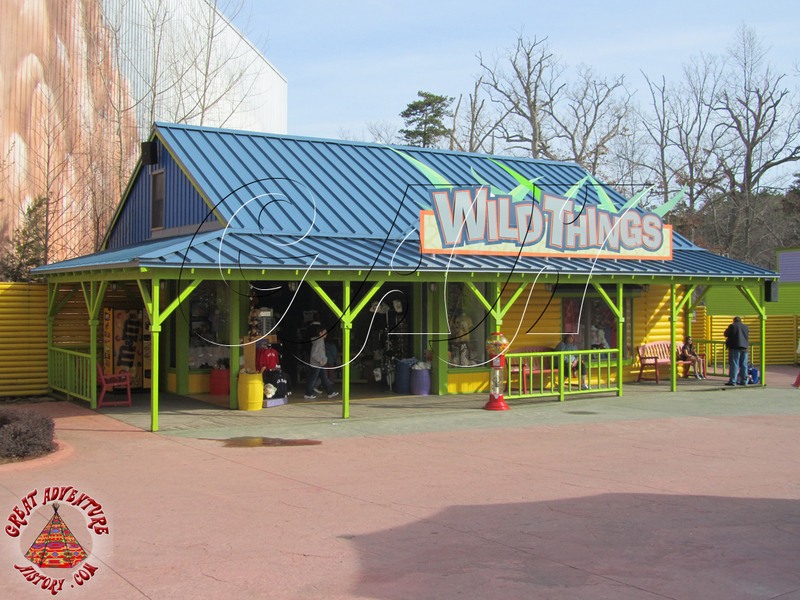 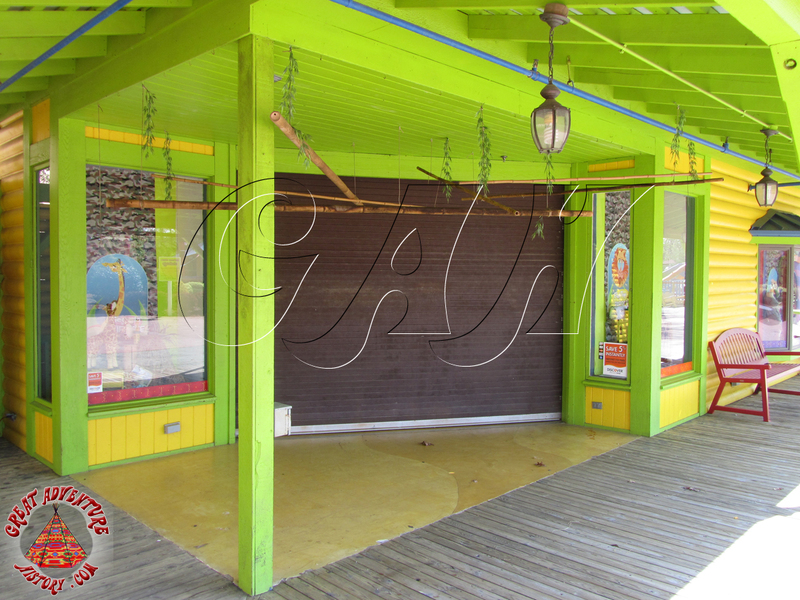 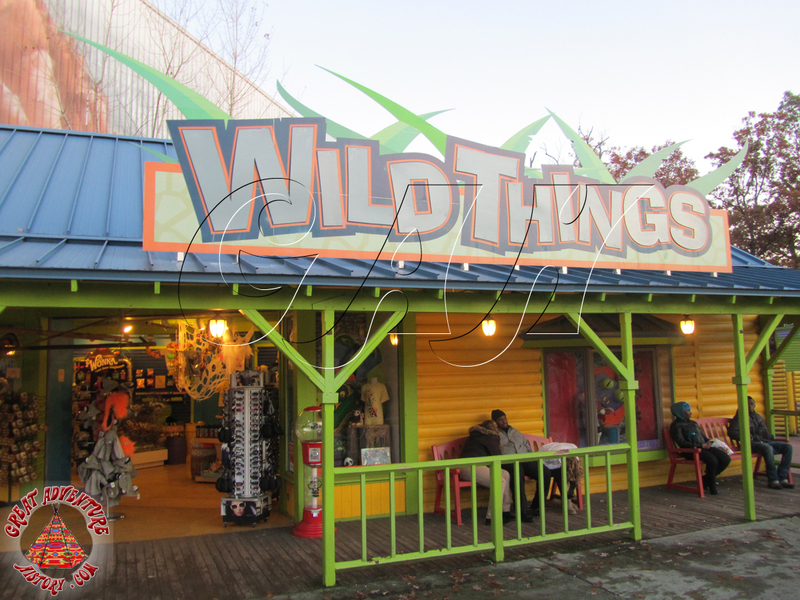 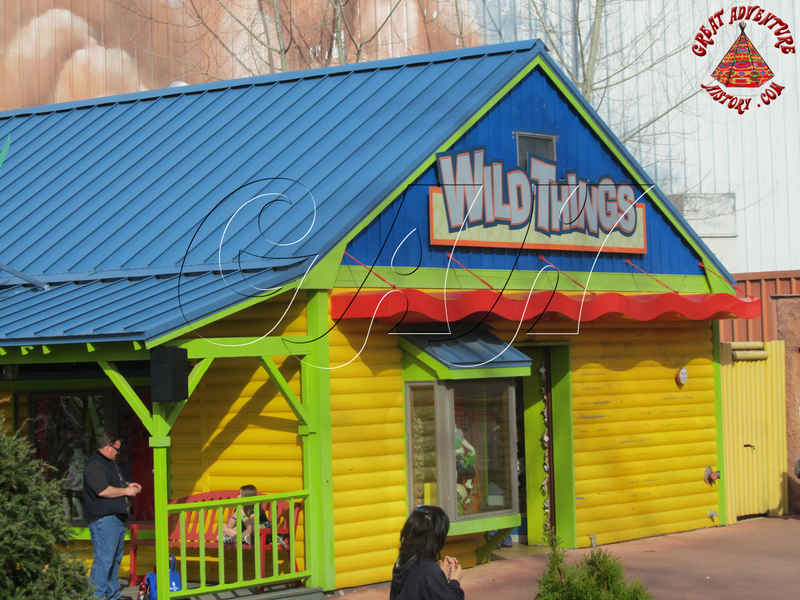 For the 2011 season the former Wiggles World became the Safari Kids area of the park and the former Wiggles Gift Shop became Wild Things. 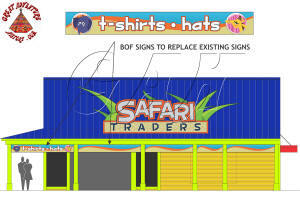 The building remained just as colorful, but was fitted with new signs and a new selection of merchandise. 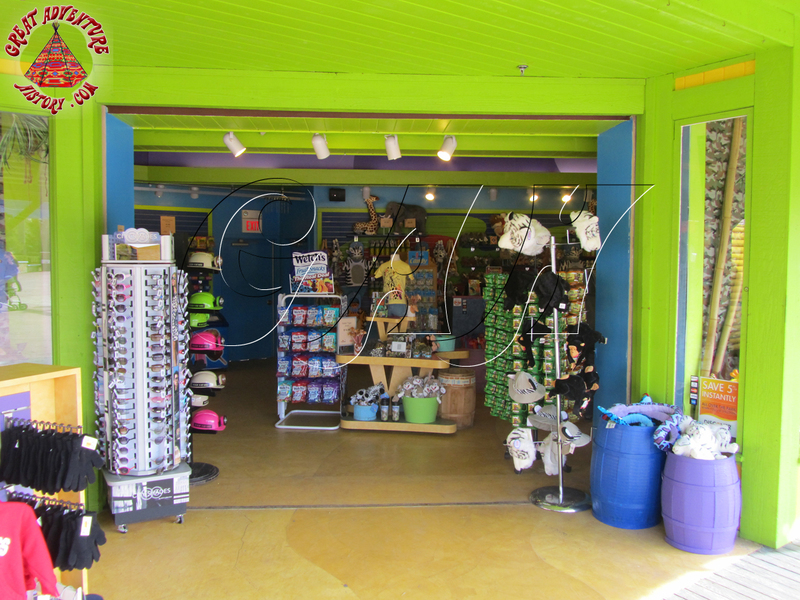 Easy to spot, this once rustic stand now causes guests exiting Skull Mountain to squint as their eyes adjust from the dark caves of the "mountain" to the glaring hues of this vibrant merchandise location. 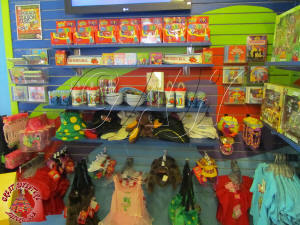 t-shirts, drinkware and lots of plush animals. 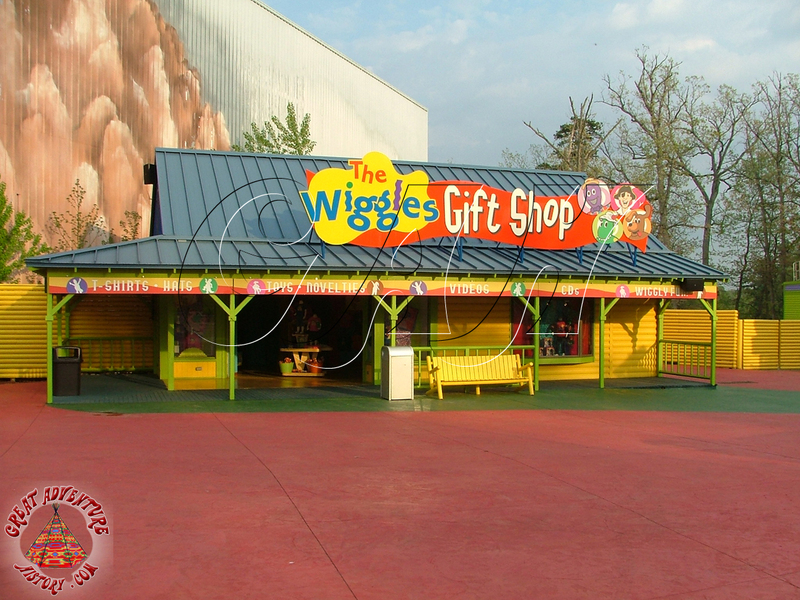 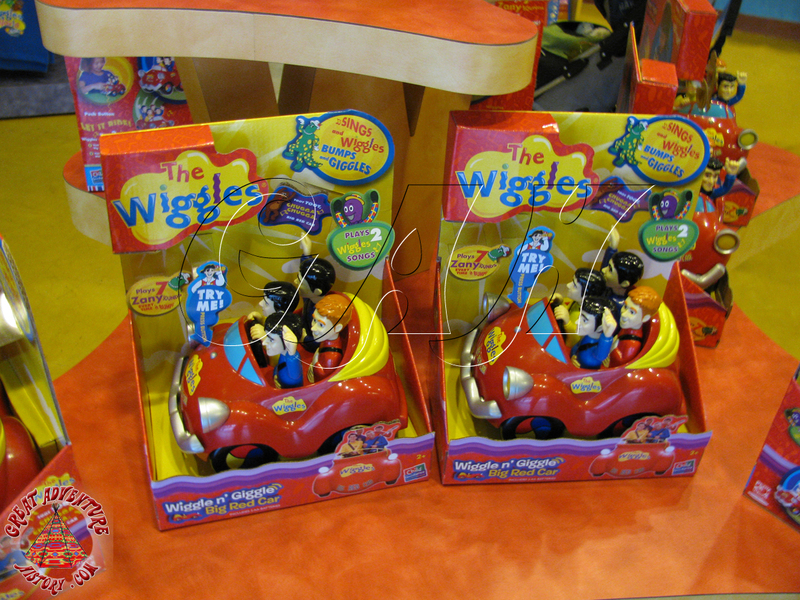 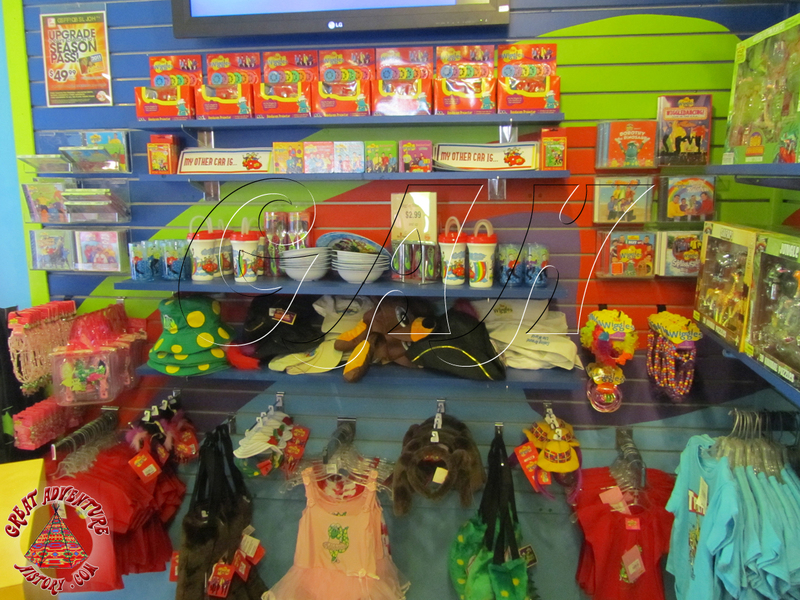 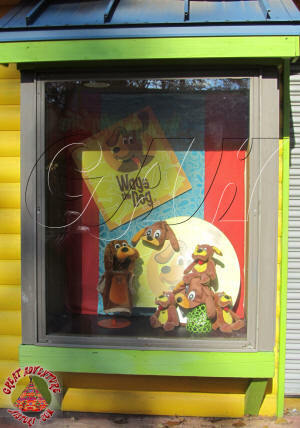 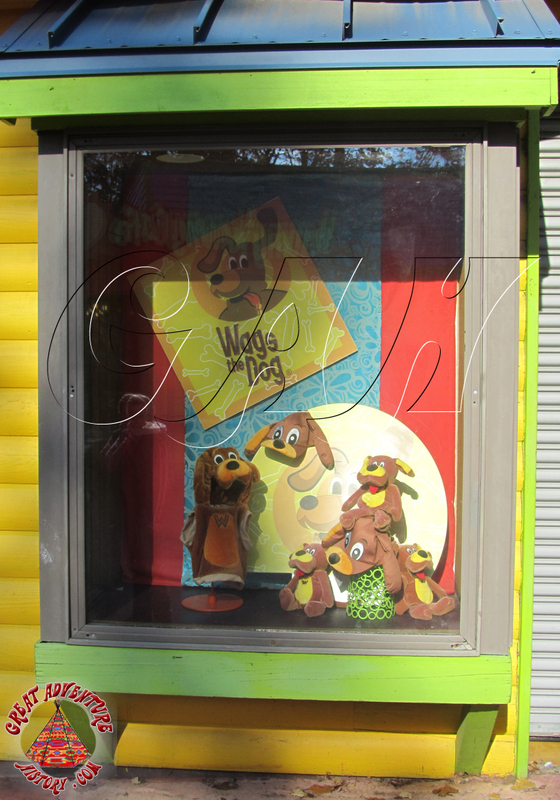 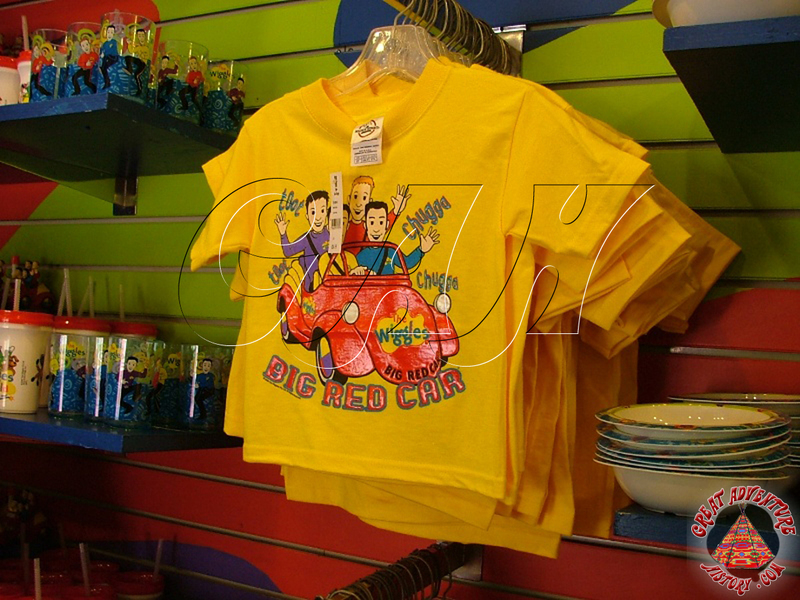 For a time the shop was also selling the leftover Wiggles merchandise from its prior seasons.